With customary charismatic style, The Unorthodox, Unprecedented, Preacher – TUUP – takes to the stage with sitar virtuoso, Sheema Mukherjee, to tell transglobalised versions of these stunning, 2,000 year old tales. 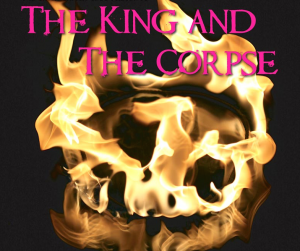 As much an encounter as a performance, this formidable collaboration by two core members the wild world music collective Transglobal Underground, brings an 11th Century Indian fairytale to the contemporary stage. Enter a place of metaphor, magic and ritual. 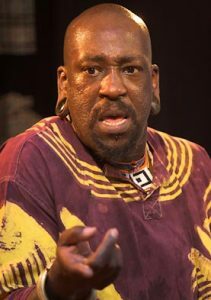 TUUP was born to Guyanese parents and raised in Acton, West London, Godfrey Duncan – TUUP (The Unorthodox, Unprecedented Preacher) – has been a professional storyteller since 1981, when he joined Ben Haggarty to form the West London Storytelling Unit. Truly an elder of the storytelling revival in Britain, his style is one of total improvisation, unbounded charisma and alarming spontaneity. His fabulous capacity for mimicry and ear for a wild story is outstanding. TUUP has travelled the world extensively, telling stories all over Europe and in both Northern and Southern Africa. In his role as a creative lyricist, poet, percussionist and vocalist with the highly influential dance music collective, Transglobal Underground, he has performed throughout Europe, Central Asia, Asia and North and South America. Sheema Mukherjee absorbed North Indian classical music and the western tradition side-by-side, studying sitar and Indian classical music under the tutelage of her uncle, the late Pandit Nikhil Banerjee and then with the late Ustad Ali Akbar Khan. Brought up between Britain and India, she has a rich background to draw on in her own compositions and collaborations. 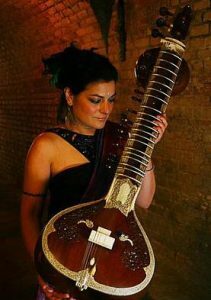 Today she is an established sitar player and composer; a regular in Transglobal Underground playing sitar and electric bass; a key member in The Imagined Village project; a formidable collaborator with internationally renowned artists from many genres. Sheema has collaborated with internationally renowned artists such as Sir John Tavenor, Martin Carthy, Bobby Mcferrin, Boris Grebenshikov, Natacha Atlas, Noel Gallagher & Cornershop, Mercan Dede, the Bulgarian Folk singer Yanka Rupkina. Another significant collaboration is with UK saxophonist Courtney Pine and Sheema has been featured on his albums Back In The Day and Devotion and was a guest artist on the ‘On Track’ tour – a project for the UK Commonwealth Games. She has toured the world widely and key performances include The World Music Festival (Chicago), Montreux Jazz Festival and the Olympia-Halle (Munich), supporting Jimmy Page and Robert Plant throughout their European tour (1998), the Olympics Arts Festival for Sydney 2000 and also makes regular appearances at WOMAD (UK) with her own ensembles.